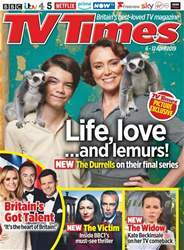 TV Times Magazine is the must-have weekly read for any television enthusiast who wants to keep up-to-date with all the latest gossip from the screen. Each issue is jam-packed full of the hottest TV coverage of the week - you can expect exclusive interviews with your favourite TV stars from Corrie to The Apprentice to Emmerdale. TV Times Magazine takes you behind-the-scenes with amazing features that will satisfy even the toughest of telly critics. 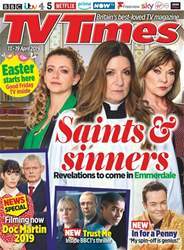 If you’re big into the soaps, you wouldn’t want to miss TV Times Magazine’s incredible coverage of all the gossip from your favourite shows. Each issue brings you the inside scoop on the hottest storylines and offers behind-the-scenes gossip to always keep you in the know. You can also enjoy exclusive photoshoots with your favourite stars and interviews with the television heroes and villains that matter to you. 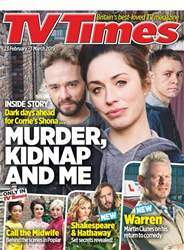 Subscribe to TV Times Magazine today and get all the latest gossip delivered directly to your device before it hits the shops. Your essential and comprehensive guide to the week’s not-to-be-missed television. There’s tragedy brewing for Shona this week in Corrie when her imprisoned son, Clayton, goes on the run. As David threatens to kill Clayton – who murdered his wife, Kylie – Shona tries to reach out to the lad, only for it to backfire and him to take her hostage at knifepoint. Here, thirty-three-year-old Julia Goulding, who plays the troubled mum, tells TV Times about the drama to come. 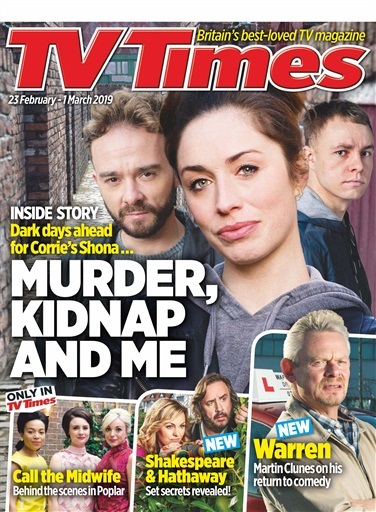 If you want to keep up-to-date with all the latest gossip, storylines and behind-the-scenes information from all of your favourite shows, then TV Times Magazine is just the weekly read you’ve been looking for. Never miss out on the best television with a comprehensive guide of the shows that are not-to-be-missed. 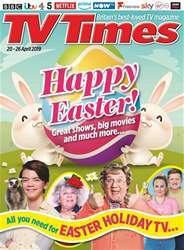 As well as bringing you the latest news on all your favourite soaps and television shows, each issue of TV Times Magazine provides you with a selection of comprehensive film reviews from people in-the-know. Get the inside scoop on the year’s biggest blockbusters and latest releases and make informed choices about the films you see. You can also enjoy 42 pages of easy-to-read listings of all the television available to enjoy throughout the week. Subscribe to TV Times Magazine today and make sure you never miss a decent TV show again.